Students from various colleges in Vijayawada has come forward to volunteer for Krishna Pushkarams. About 4000 students from various colleges gathered in Indira Gandhi Stadium. 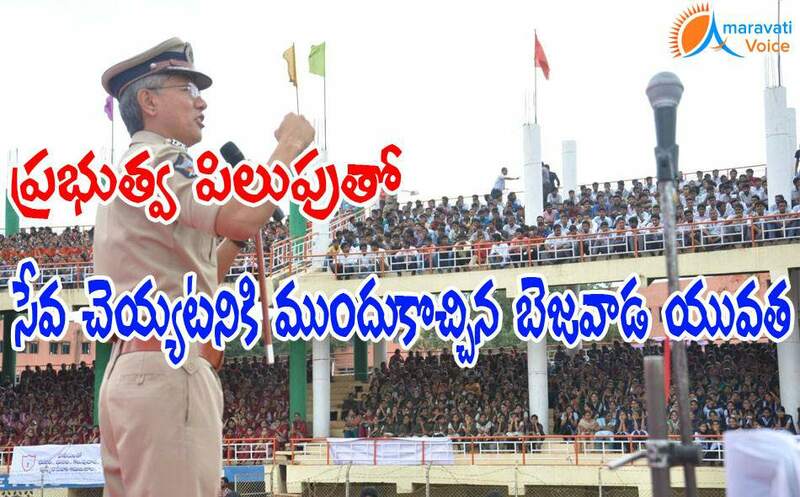 Commissioner of police Gautam Sawang addressed the students at Indira Gandhi Municipal Stadium during selection of pushkar sevaks in Vijayawada. He said that the police would provide necessary training to the Pushkar Sevaks on how to assist the pilgrims. Mr Sawang appreciated the services rendered by the students in making the city poster-less. He urged the students to show the same spirit while serving the pilgrims.